Pigment Prism #197, 1 g.! 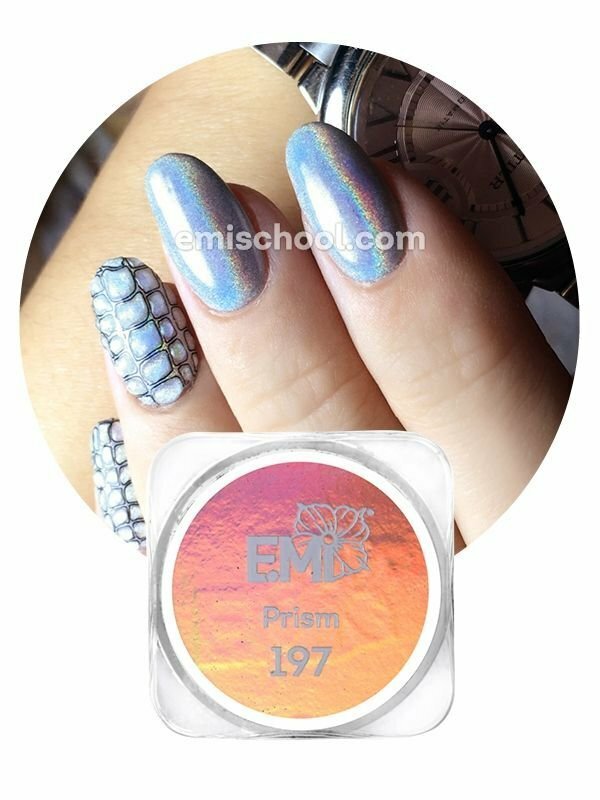 Holographic shimmer E.Mi manicure Unique texture! Ultimate particles of pigment perfectly cover nail plate, having brilliant shimmering and holographic effect. Unlimited variety! In combination with different colours, the pigment bursts into great amount of colours and tones creating holographic shimmer. Economical consumption! 1 tub is for 80 clients! Easy to apply! Pigment is applied with a dry brush to dispersive film of polymerized gel paint or gel polish. Convenient package to work and store! Stiff cap prevents pigment from scattering.